a collaborative knowledge network designed specifically to provide healthcare professionals with the means to connect with one another. Helps you in managing your students and community through various LinkingHealthProfessionals applications. There are more than 23,000 members coming from1,350 Universities and Colleges. Close to 1,150 Hospitals, Associations and Organizations across Canada, the United States and elsewhere. More than 230 active communities, providing a way for their members to learn, share and make an impact in healthcare. Nursing Clinical Evaluations allows for a complete round of evaluations for the student including self competency, preceptor and placement evaluation. In turn, preceptors review the student’s self competency as well as complete a student evaluation. Administrators manage the entire process and run the reports. Empower candidates with the means to set their appointments in motion. Improve the efficiency of the clinical appointment process through an automated review / approval process and send timely decisions to candidates. Committee members approve online and the administrator has the ability to publish electronic letters of appointment or refusals after viewing all candidate information (including application, CVs and Cover Letters) in one central location. 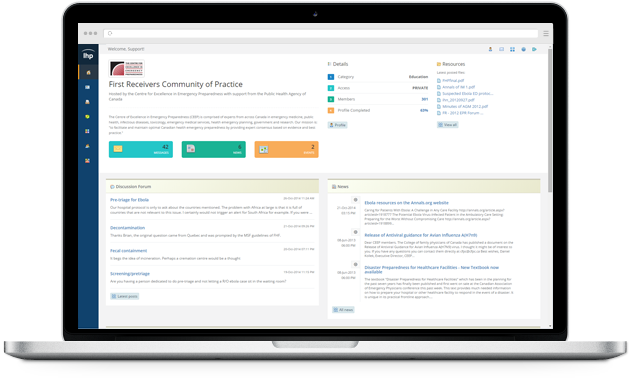 The community provides a place where groups of healthcare professionals go to connect with each other through file sharing, discussion forums, news, posts, etc. In the community each group member has access to the same information at the same time which ensures all members are referencing up-to-date materials. LinkingHealthProfessionals provides support to mentorship programs or initiatives across healthcare institutions, and/or across healthcare professions and provides mentor-mentee suggested matching, mentor and mentee feedback scores through the Mentorship module. The Automated Matching module is used to successfully match students with preceptors based on a set of predefined, configurable rules. Administrators identify the session and course schedule and load the students and preceptors. Profiles for both groups are submitted and then the automated matching begins, based on factors in both the student’s and the preceptor’s profile. The purpose of the Clinical Instructors (CI) Recruitment module is to automate the end-to-end Clinical Instructor recruitment process. Initially CIs are hired as New Hires, and subsequently, should they be invited back, as Term Rehires, and / or Rehires. With the Conference Manager, applicants register for events and conferences and prospective participants submit their abstracts. A link is created between the client website and LinkingHealthProfessionals so the registration details can be transferred to the client’s community. Administrators can track the registration numbers, payments, and abstract submissions, including abstract approval/denial and publication. The Clinical Trials App assists physicians to ensure that qualified patients have timely access to clinical trials. The E-Store module provides the community with the capability to make events and items (books, DVD’s, symposiums, courses, course materials etc.) available for purchase. All LinkingHealthProfessionals members can peruse the E-Store catalogue and make their purchases. The administrator manages the entire store by creating their catalogue, identifying the shipping methods and reviewing the orders. The Healthcare Electives module provides the healthcare institution with the tools required to manage student elective records from beginning to end. Administrators identify the elective registration form(s) and subsequently the students submit the completed form; administrators review and validate submissions. The Video Sharing module allows healthcare staff or institutions to provide access to audio and video recordings, in a secure way, including discussion forums or comments around the recordings. The administrator identifies the course as well as the students and teachers who are registered in the course, and attaches the appropriate file(s) for their viewing. The Professional Quality Improvement (PQI) App enables healthcare institutions to easily implement a comprehensive, collaborative review programme that provides valuable feedback to practioners and allows administration to design and implement educational and professional development programs that can be tailored to the specific needs of each individual or an entire department or division. Do you need a new Module? As LinkingHealthProfessionals continues to grow and new requirements are identified, additional modules are developed to meet these needs. A module can be used on its own or in combination with others.